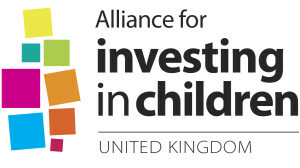 The Alliance for Investing in Children (UK) is a new project led by Children in Wales working in partnership with Children in Scotland, Children England and Children in Northern Ireland All these platforms have multi-sectorial membership. Read the full National Pilot description. Children in Wales is the national umbrella body for organisations and individuals who work with children, young people and their families in Wales. More about their membership. Children in England is the leading membership organisation and collective voice for the children, young people and families voluntary sector. More about their membership. Children in Northern Ireland is the regional umbrella organisation for the children’s sector in Northern Ireland. CiNI represents the interests of the children’s sector and provides support services to member organisations in their work with children and young people. More about their membership. Children in Scotland is the national agency for voluntary, statutory and professional organisations and individuals working with children and their families in Scotland. Children in Scotland exists to identify and promote the interests of children and their families. It does this with, through and for its members. More about their membership. Download the flyer of the UK Alliance here.